Velomobile Media offers appealing space for rolling advertisements. Our velomobiles are an eye catching space for promoting your products or services. 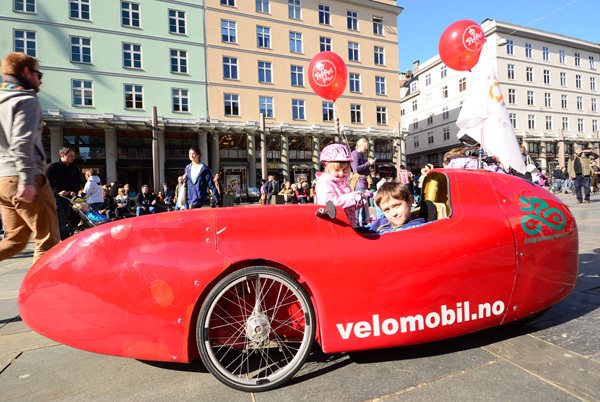 Our velomobiles are probably the best way of doing field advertising, with a high eco profile. Lease a velomobile for your use, or rent advertising space. Velomobile Media have tailor made solutions for your organisation or business. Be visible in a sporty, eco friendly and funny way, you will get maximum attention. Velomobile is the future solution for single eco friendly transport now. speed in headwinds and on flat compared to an upright bicycle. 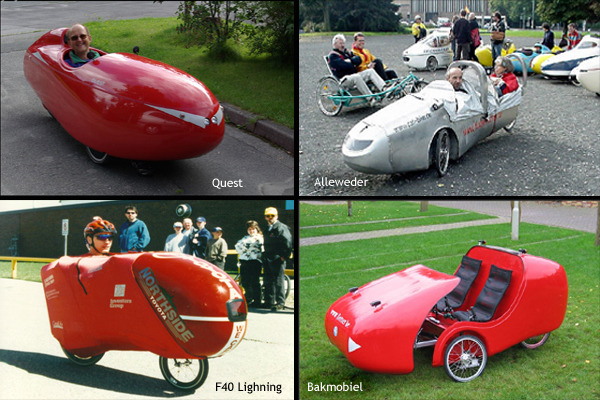 A velomobile can have 2, 3 or 4 wheels. 3 wheels are most common. 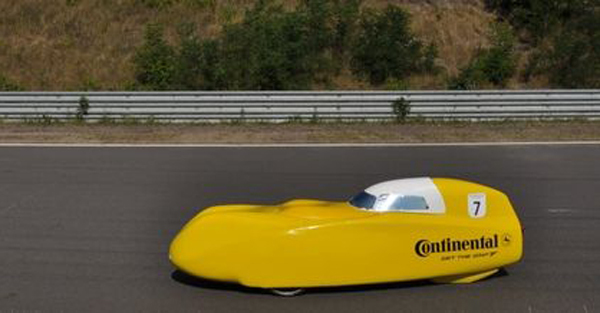 Velomobile is Formular1 with pedal power. and faster than any upright bike. 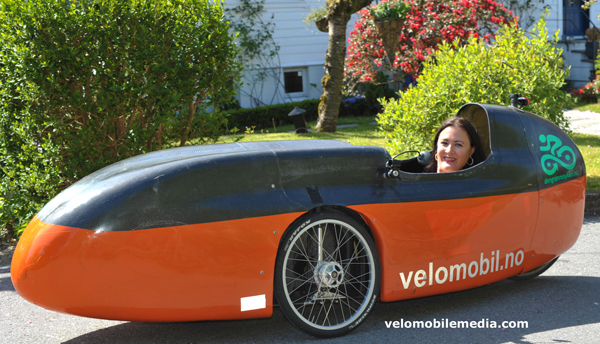 How many people can sit in a velomobile? tandem 2 single seats heading forward, or 2 side by side. How fast is a velomobile? bike/triathlon bike will make 37 km/h at the same pedal power. 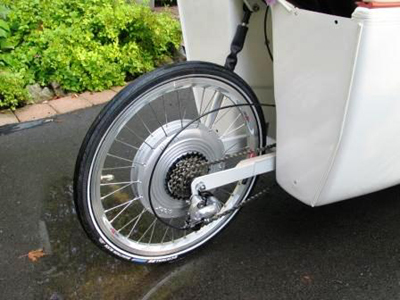 A two wheel fully faired recumbent will make 76 km/h at 250 watts. Amsterdam is 83.13 MPH (133.78 km/h) 200m flying start. What materials is a velomobile made of? A velomobile can be built on a recumbent frame with a fairing attached. The fairing can be made of aluminium, glass fiber, carbon fiber or Kevlar. supporting body where wheels, suspenison, steering are connected. average speed over 55 km/h. Does the velomobile have a motor? BionX Hub engine mounted on a Cab Bike. How safe is a velomobile? since the driver are protected by the fairing. This Alleweder with a fairing of aluminum was hit by a bus. The velomobile driver did not get any severe wounds. Is it possible to drive a velomobile in winter? can be too much snow and uneaven roads. 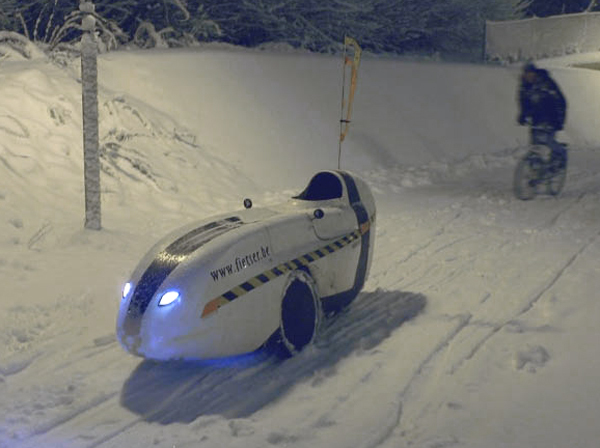 Velomobile in winter with spike tyres. What is the price of a velomobile? Where are the velomobiles produced? Velomobiles are mainly produced in Denmark, Holland, Belgium, Germany, Czech Republic,USA and Australia. Some people home build their velomobiles. All velomobile production is in small scale and all are built by hand. M5 recumbent with carbon fairing won 500 km road race, solo ridning. weather. More safe than any bicycle in traffic. 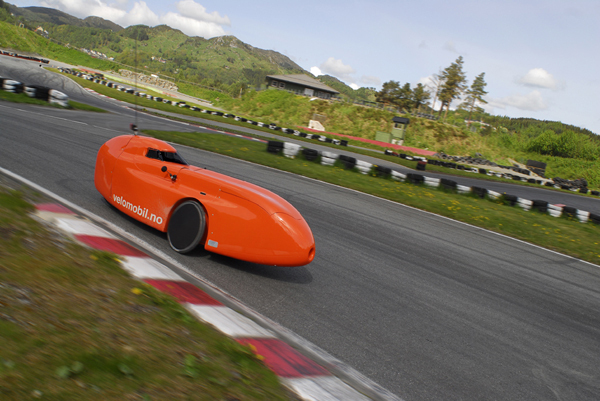 Velomobile holidays in Lofoten, north of the polar circle. Will the velomobile alternate with the car? will be a much more environmental friendly and healthy transport. 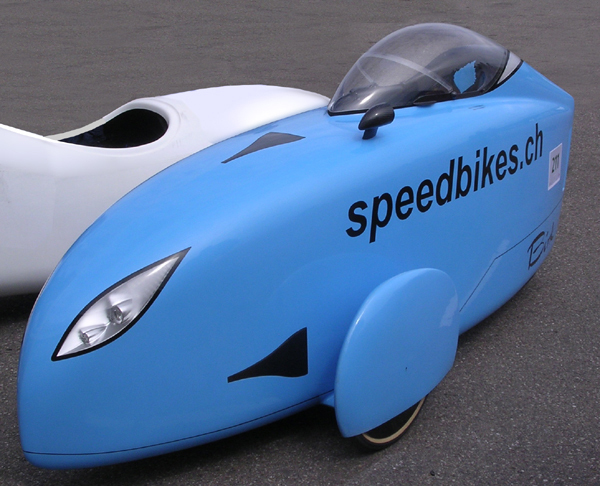 A velomobile needs about 1/2 hp to go 30-50 km/h. Environmental friendly an efficient transport. have payed itself in Co-emissions after about 800 km.